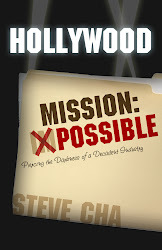 Please continue to support my book, Hollywood Mission: Possible. It's available in Paperback and E-Book at most major retail sites, or you can simply click on the book link to the right of the page. Thanks.